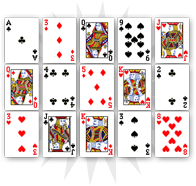 Contrary to the five of clubs, the four of clubs is a bad omen in cartomancy. It describes a threat that can materialize with health problems or unexpected events with negative consequences. To understand this card’s power, you should study the other cards’ attributes. 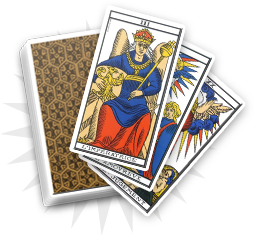 The clairvoyant’s role is to explain you the characteristics of their association and guide you to take the right decisions. 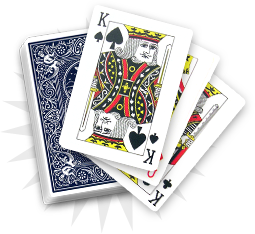 In the upcoming days, you will have to face unforeseen events, as the four of clubs announces a threat that you will have to face. 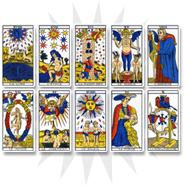 The four of clubs refers to the help you will offer to a relative who has helped you in the past. It evokes a natural compensation coming from the relationships you build with your entourage. Nevertheless you have to be careful with the unexpected events that could take place, in order to maintain balance.